From the GTROC.uk forums. They have a good picture of the gear shifter showing reverse, neutral , auto and manual. 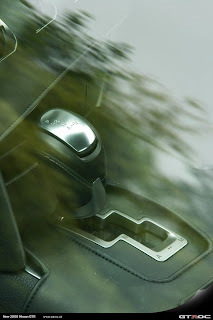 Goes along with the other pictures of the shifter paddles.